The Seattle Mariners, the only team to win multiple American League traveling championships this year, did it for the third time this season with a three-game sweep at home against the Tampa Bay Rays during the weekend. The Mariners outscored the Rays 28-7. 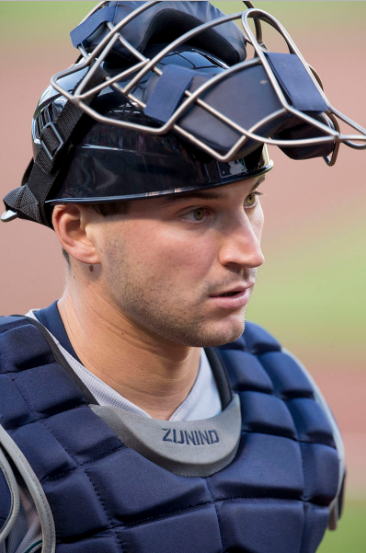 Mike Zunino drove in 10 runs for the Seattle Mariners during their three-game sweep of the Tampa Bay Rays (Keith Allison/Creative Commons Attribution-Share Alike 2.0 Generic license). The Seattle Mariners captured their third American League traveling championship of the season over the weekend, trouncing the Tampa Bay Rays in a three-game sweep. Neither the series not any game within it was ever close. The tightest contest was a 7-1 Seattle win on Sunday. The Mariners outscored the Rays 28-7 over the three games in Seattle. The Rays failed in their bid to become the first team to defend the American League traveler twice this year. They won it by taking two of three from the Minnesota Twins in Minnesota May 26-28, then defended it by winning two of three from the Texas Rangers in Texas May 29-June 1. 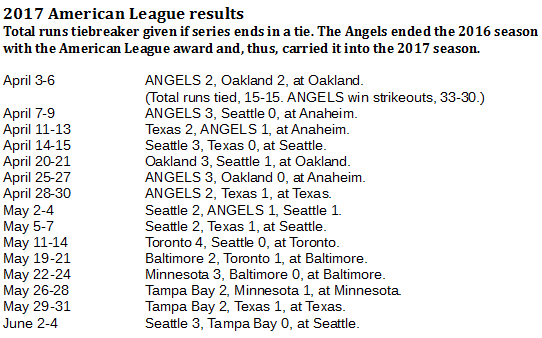 The Mariners are the only club that has won the AL traveler more than once this season. They last held it with a defense May 5-7 against the Rangers in Seattle, only to lose four straight against the Toronto Blue Jays in Toronto May 11-14. The Mariners batted .362 and OPSed .971 in the three games against Tampa Bay (totals from baseball-reference.com). Mike Zunino led the way for Seattle with 10 RBI, including seven in a 9-2 victory on June 3. Nelson Cruz hit two homers for Seattle, leading the club. 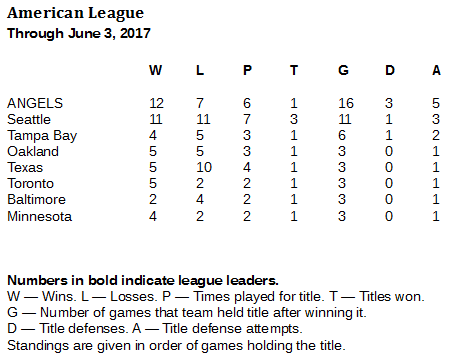 Seattle will put the American League traveler up against Minnesota in a three-game series at home Tuesday through Thursday. The Mariners are second in the AL with 11 games of title defense, following the Angels, who have 16.